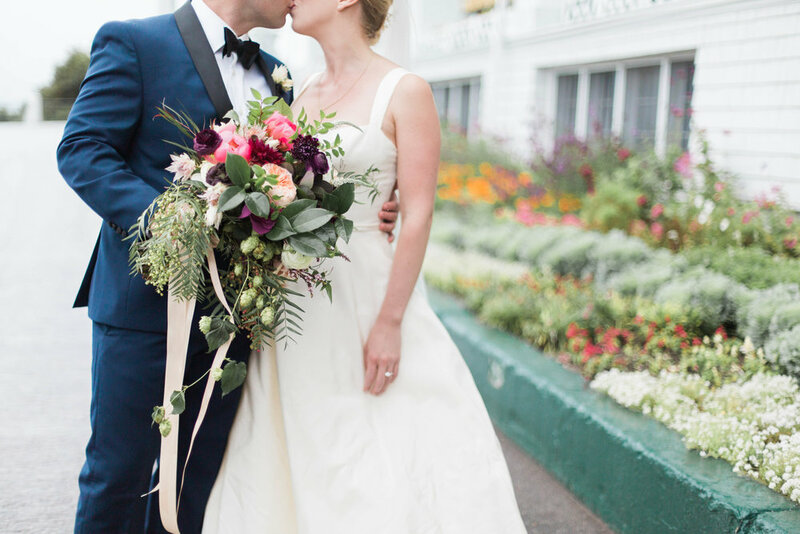 So I promised to break down each element of our wedding and blog about it so I could talk about it in greater detail! 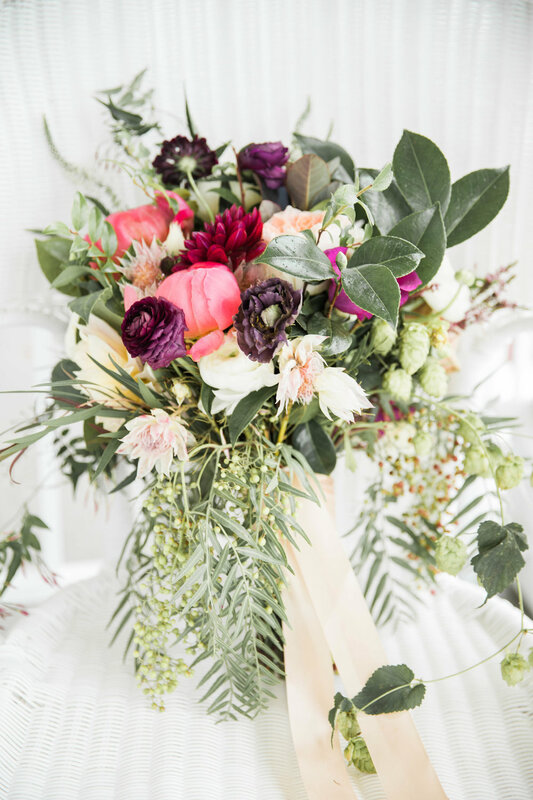 I wanted to share the best and worst parts of my experience so that brides could hopefully better understand the process. First up, our photographer!!!!! 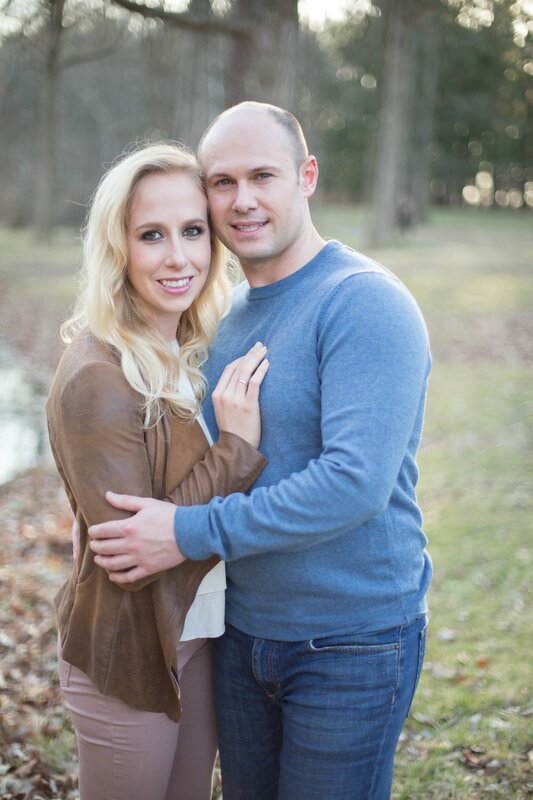 Cassie with Conforti Photography was our wedding photographer. I am in the unique position that my best friend for over 10 years is one of the most amazing wedding photographers in the midwest! (How lucky am I right?!). Cassie and I met freshman year when we lived in the same dorm. We first connected over our inability to hear something going on while we were at BGR at Purdue. I'm so glad our hearing trouble lead me to find my "person" (if you watch Grey's she's my Christina). In ten years she's helped me through graduating from Purdue, moving to New York, convincing me to move home, dating, exploring the world, helping me start my business, and finding the man of my dreams. In her life, I've watched her marry her high school sweetheart, buy her first house, and second, start her business, and welcome both of her beautiful children into the world! It's been a friendship full of lots of big hugs, laughing till our stomachs hurt, tears, wine, tailgating, delicious food, and fun! I'm so lucky to have experienced it all with her by my side! She actually helped me find my calling to be a wedding planner! All that being said, she is truly the most kind hearted and talented wedding photographer I know and I'm thankful she was there to capture our day! We also had her wonderful second shooter Teresa Schmidt (Teresa Schmidt Photography) to help her so she could be present as my friend throughout parts of the day! Ready to see one of the stunning images already?! I mean, did she nail it or what?! 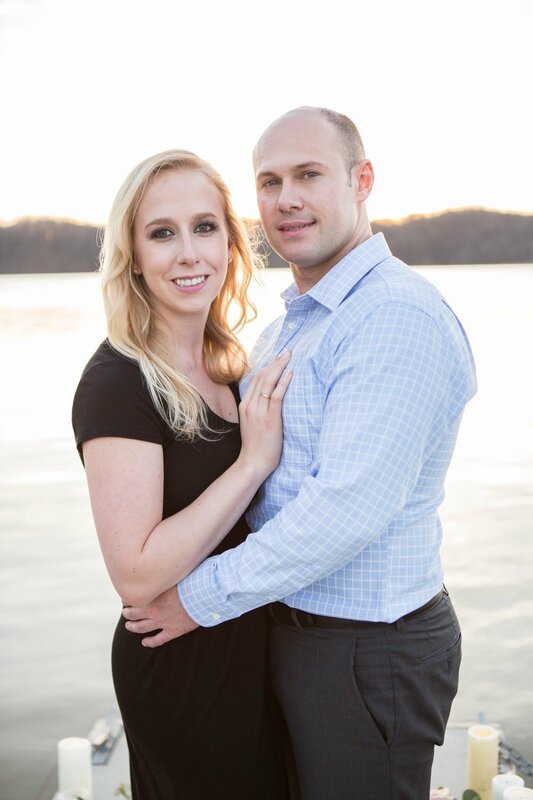 But let's back up a little, she did also do our engagement pictures! 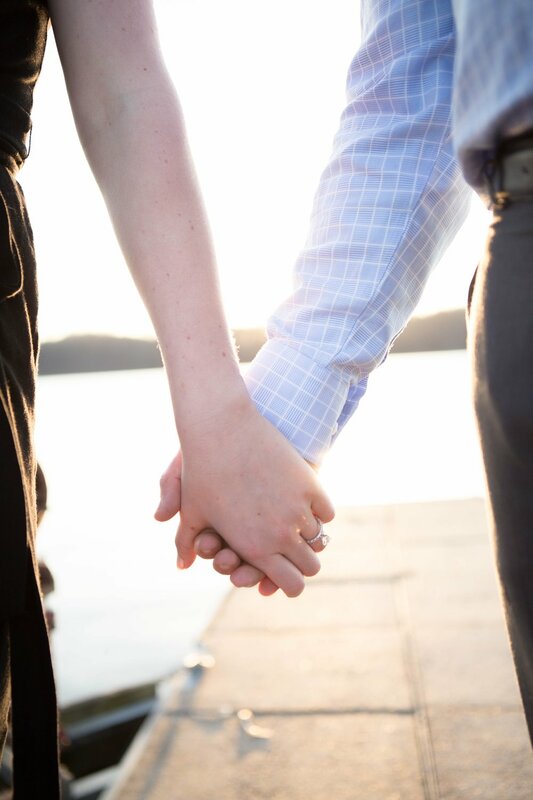 I think engagement pictures are so important. Outside of being a wonderful thing to have they also help you to get comfortable with your photographer. I have had Cassie take my picture for years but it was a first for Jake to pose and have professional pictures taken. 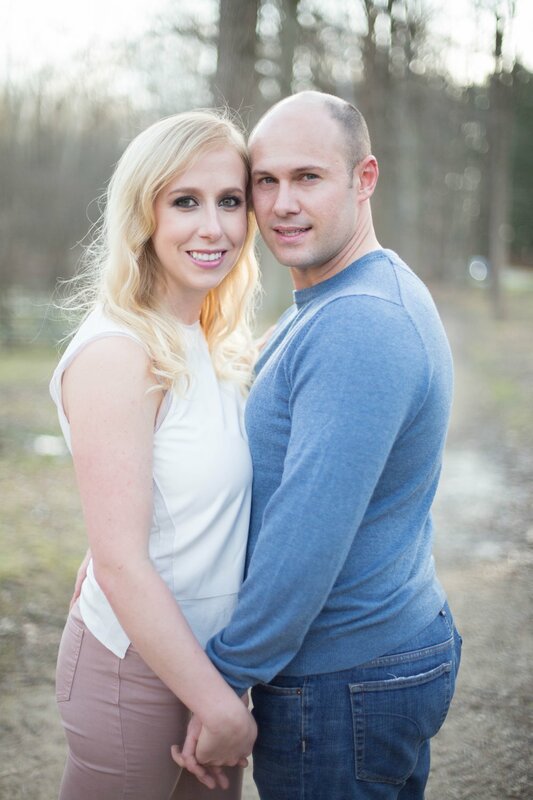 So it was incredibly helpful for him and I to do our engagement pictures with Cassie. That way on our wedding day he felt relaxed and comfortable in front of the camera. Posing for engagement and wedding pictures doesn't always feel natural but after you see how they turn out you're much more comfortable the second time. Cassie is also very adventurous and helps me to push the boundaries of my creativity. 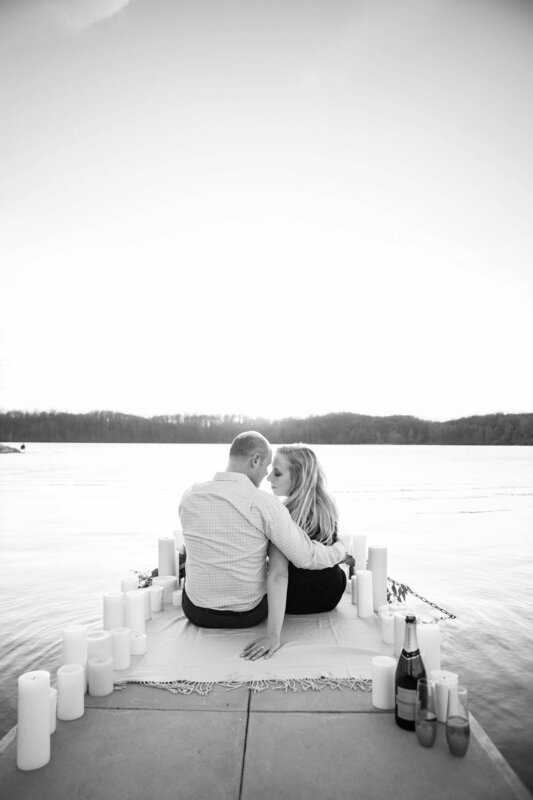 When I was first chatting with her about engagement pictures she suggested we do those by water since our wedding was on the lake. 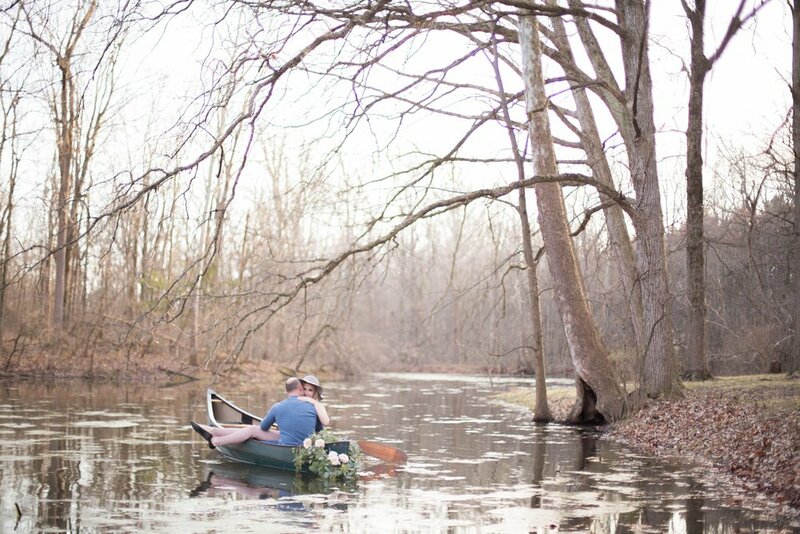 As soon as I began to search for "lakeside engagement pictures" I fell in love and decided we HAD to have a canoe! 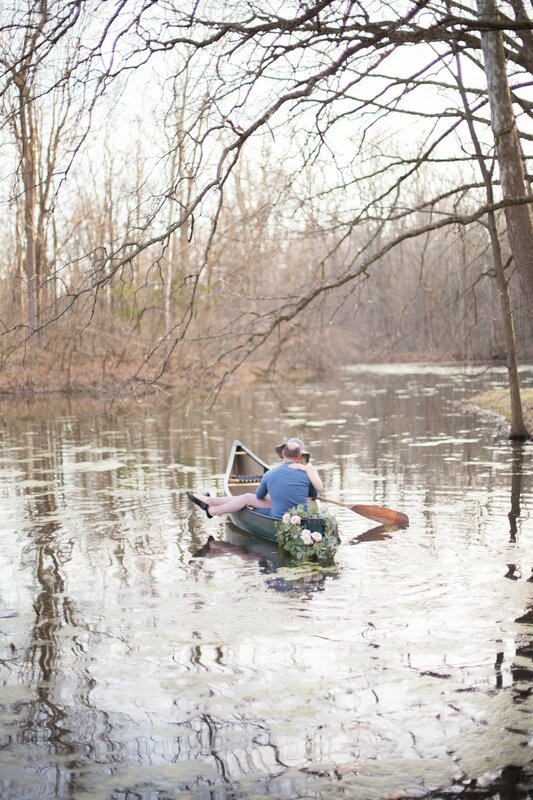 So we rented a canoe, I had my hair and makeup done by the fabulous Something Blue Stylists and adorned it with flowers and candles from Accent Floral Design! It turned out to be my dream pictures come to life! All thanks to Cassie fantastic eye and willingness to try new things with me! See how great they turned out below! My advice is to get creative and do something personal! We love the lake so it was the perfect place for our pictures! Love coffee, maybe do a few in your favorite coffee shop?! Love to travel? I have client who took a trip to Paris and did their engagement pictures there to help capture their love for travel! Need ideas? Ask your planner or this one place where Pinterest can be helpful! I think Pinterest is best used for inspiration not direct ideas to copy. So look around and get inspired! Now to the BIG day! 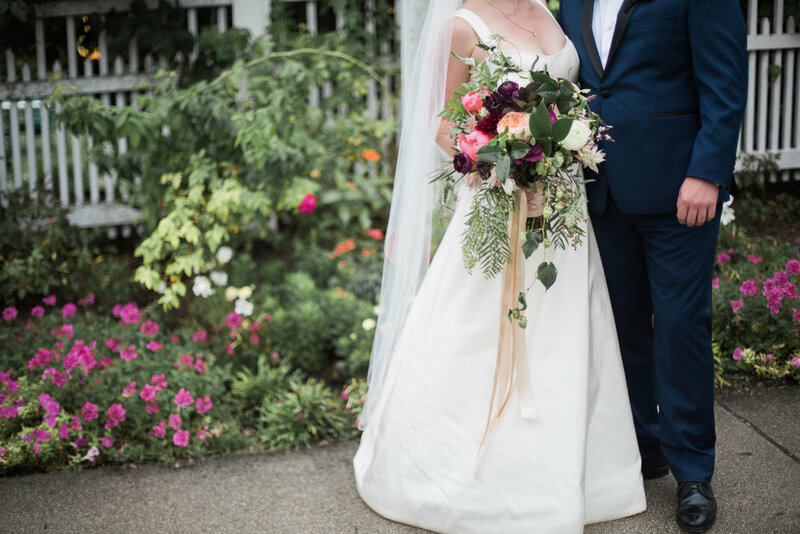 For our Zionsville wedding it was sunny and HOT! So that day was easier in the sense that we didn't have rain to deal with. It is important to think about sun if you're having an outdoor ceremony. Sun is fine and shade is fine but mixed lighting is hard for photography. So we decided to stand in front of the gazebo to solve this issue. 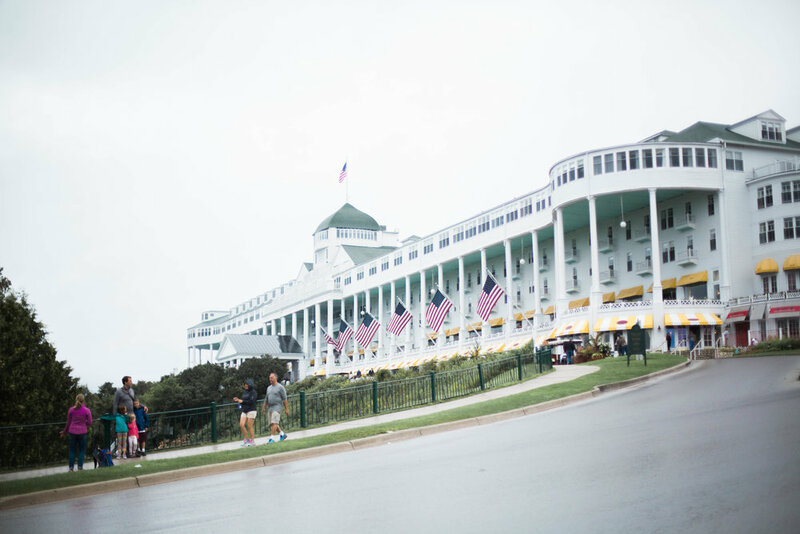 It rained the entire day of our Mackinac reception outside of the 1.5 hours we had to take pictures. It was actually raining when we left the hotel in our horse drawn carriage and it thankfully stopped before we reached the Grand Hotel to take pictures! It's always important to have a great photographer that has covered spots for pictures in their back pocket in case of rain. 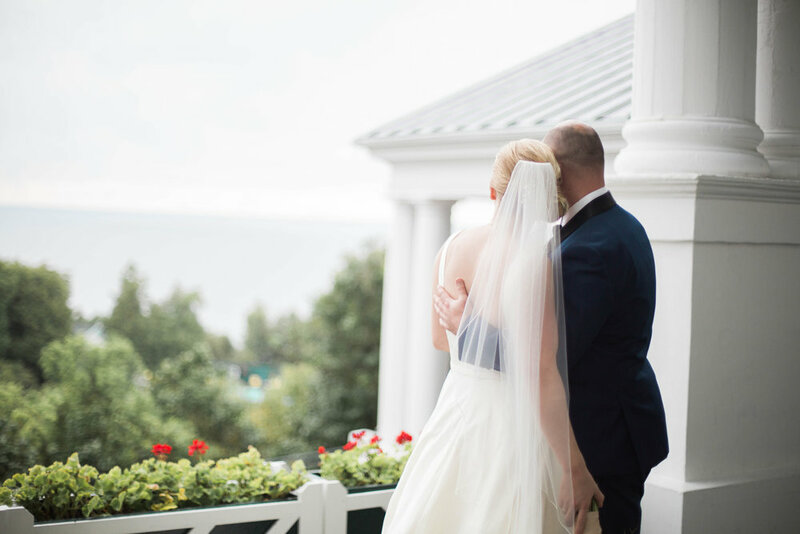 The Grand Hotel has a beautiful wrap around porch that we were headed to for pictures but fortunately we were able to take photos outside in the beautiful gardens since it cleared up! We ended up with cloudy skies that made for great photography! When it's just stopped raining your dress is still going to get dirty but in my mind, you bought it to wear it so you might as well go for it! As you scroll below you'll see that Cassie captures each detail beautifully! She is fantastic at macros shots of your smallest details but for me these were so meaningful! I love seeing my mom and grandma's jewelry next to their favorite flowers and my wedding ring! Years from now the portraits will hang in your home so they're so important but it's so fun to see the details you chose that you may have forgotten. 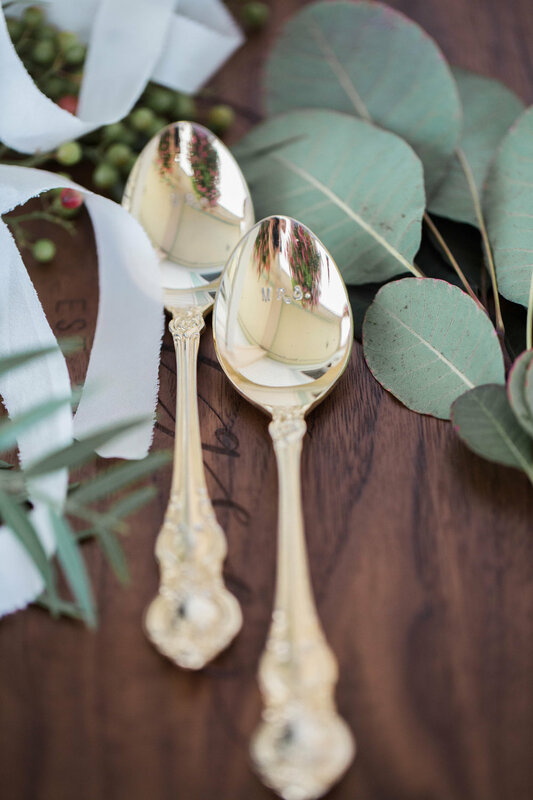 We wanted everything customized for our guests so I love seeing those details because each guest's place setting reminds me of the special person in our lives that filled that seat. I am a huge proponent of full room shots of your reception! 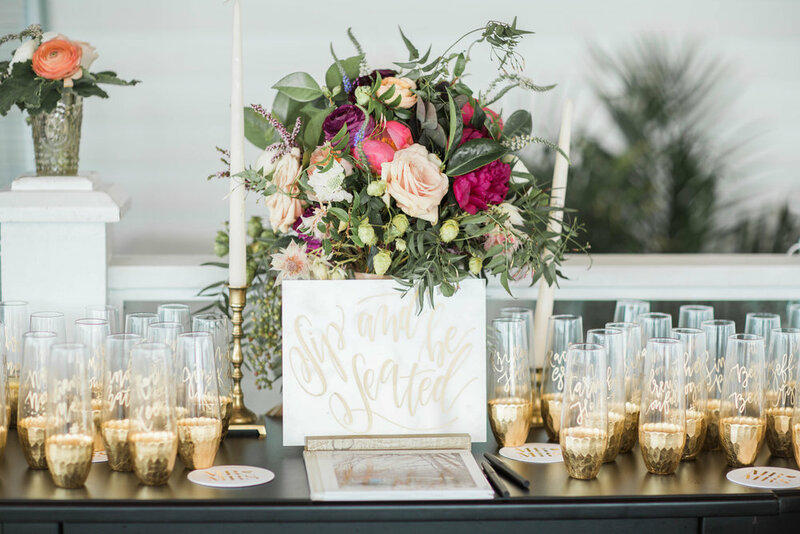 I worked so hard on that and many clients do and as a bride or groom you don't usually get to see that (unless you're like me and you're dying to see it so we schedule the entire day to make sure you can). 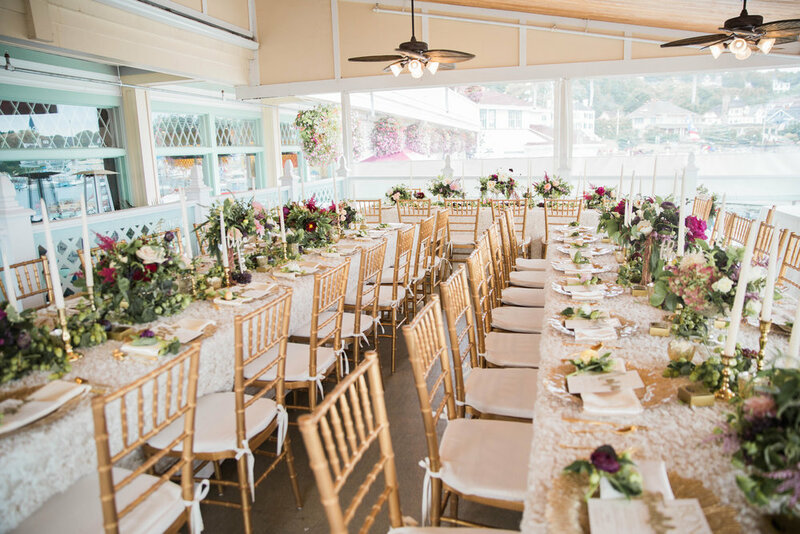 It's so fun for me to look at images of the entire room because I see all the hard work, love and details that made the day come to life! Every piece of greenery that I chose, hand calligraphy, the ring I'll wear for the rest of my life, the chargers I fell in love with, and a million other tiny things! I love our portraits as well! That's what you'll hang on your wall and show your kids! These are my favorite to print on a large scale! These give me the feeling of our day all over again! So it's important to find a photographer that you like both their detail and wider portrait shots! Cassie just knocked them both out of the park! See a few funny candid shots of she and I down towards the bottom! I love when clients chose her (I never tell them we are friends until after they independently pick her) because I know she'll make them as happy as she made me :) I can't wait to cherish those pictures for years to come and for her to help welcome Jake and my children when they come as I did hers! My heart is so full every time I see these! I want each client to find the same joy in their wedding images! 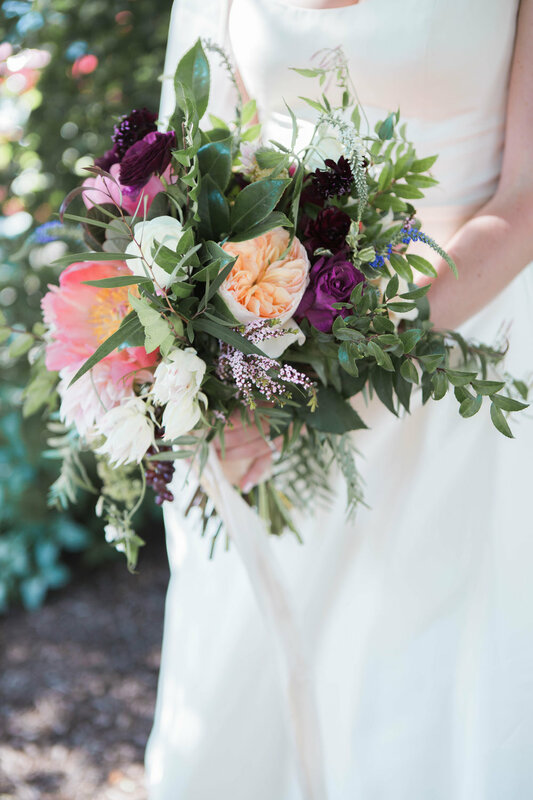 There is a perfect photographer out there for everyone and Cassie was ours! Follow your heart and chose whose work you think tells your story together best! See the full vendor list after the images below!